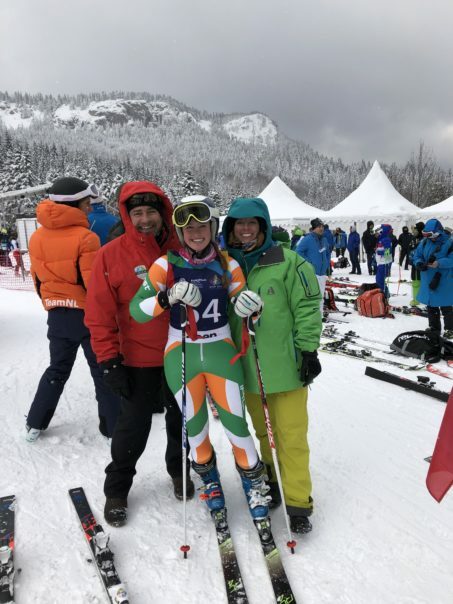 Ken Murphy, father of Ireland’s first world medallist in winter sports, Elle Murphy, described being a parent of an Irish athlete in snow sports. Two weeks ago, the first event on the 2019 Olympic Calendar kicked off, when the Winter European Youth Olympic Festival (EYOF) was held in Sarajevo & East Sarajevo, in Bosnia and Herzegovina. Ireland had a two person strong team, with US based Irish Americans Elle Murphy and Matt Ryan making up Team Ireland. 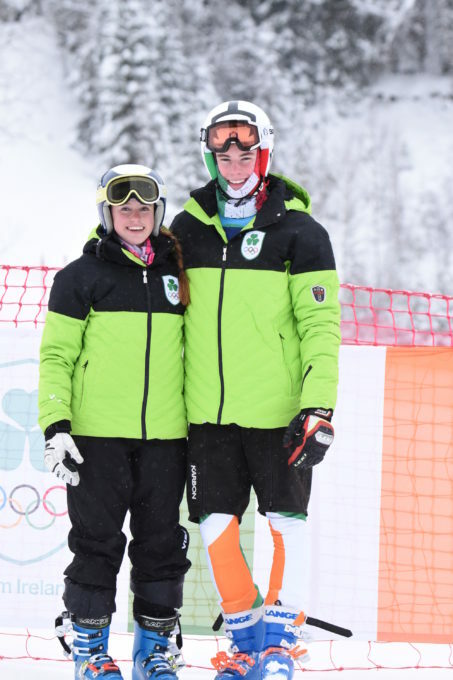 Winter sports are not always synonymous with Ireland, and yet the performances are coming. 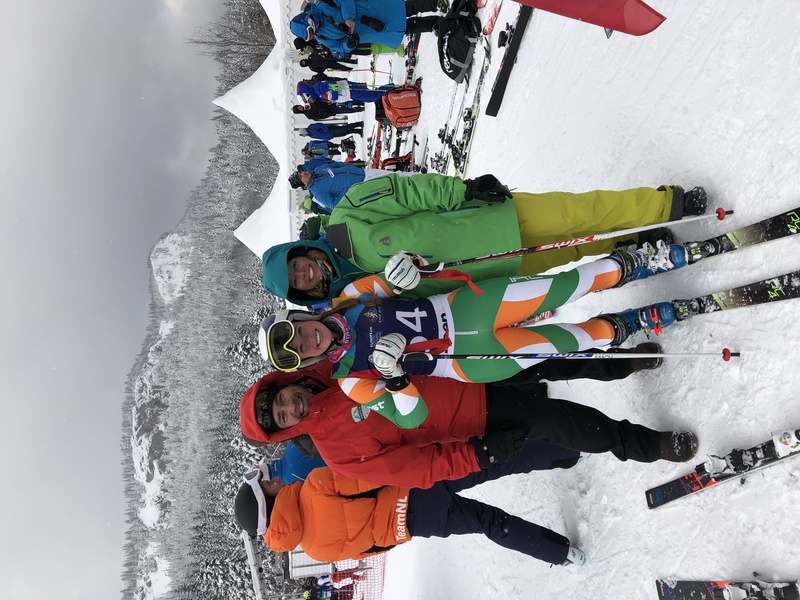 On the back of a solid showing at the European Youth Olympic Festival, Elle Murphy went on to win Ireland’s first major championship medal – a bronze in the U18 Alpine Combined at the FIS 2019 World Junior Alpine Ski Championships in Val di Fassa, Italy. It goes without saying that it takes a lot of commitment to don the Irish jersey, it takes talent and support from so many sides, most of all from family. At the EYOF while Team Ireland was small in numbers competing, the family support was strong. Matt Ryan’s father Ronan, originally from Ballinteer in Dublin, travelled to support his son, and Elle Murphy’s parents and grandparents made the trip from Dublin to cheer her on. We asked both Ken and Matt what it takes to be a “ski parent” to get an insight to what it’s like at their side of the fence, providing one of the most important support roles in the life of a young aspiring Olympian. What kind of sacrifices do these athletes have to make to wear the Irish jersey? What kind of sacrifices do you, as parents, have to make? Ryan: “Our winters revolve around Matt and his sisters’ ski racing schedule. When the kids were younger, every weekend from November to March, we made the 3 hour drive to and from our home in Massachusetts to the mountains. Murphy: “Obviously there is an enormous financial contribution from us to provide Elle with the level of training, equipment and travel expenses needed to be a world class athlete. This financial contribution affects all other decisions the family may make in every day life. We are very lucky that Elle’s younger sister Kailey is also an accomplished ski racer so our financial decisions to support our children’s passion for competing involves all of us, and no member of the family is sacrificing for another. How do you feel when you see the Irish jersey – and how nervous do you get when they compete? Ryan: “It can be nerve-wrecking watching Matt race, and I think we literally hold our breath until we see him cross the finish line! Murphy: “When she is competing I am a nervous wreck, but try to not let her pick up on it. As a parent part of you is like ‘slow down,’ but you know that’s not the idea so the other half of you is hoping they go as fast as they can. This sport has such a high percentage of injuries, and Elle has already had two knee surgeries – it’s always in the back of your mind. The week after the EYOF Elle went on to win Ireland’s first ever world championship medal at the junior worlds, how did that feel? Murphy: “This was not expected and again I think was a cumulation of all the hard work she has put in. It was a third place finish in the U18 age group. Attending the EYOF prior to the Junior Worlds helped enormously, and was key to this success, as she was not as tense as she was in Sarajevo wearing the Olympic rings and representing your country on such a huge stage. Being relaxed and focused as an athlete is key, and she just seemed to be in a great place prior to race day.